1. Why Be Catholic, when you can be anything else? Learn more about the event and RSVP today! 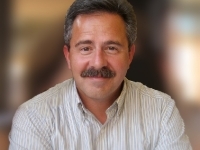 PATRICK MADRID is a life-long Catholic. He has authored or edited 16 books on Catholic themes, including Search and Rescue, Where Is That in the Bible, and the acclaimed Surprised by Truth series. Since 1996, Patrick has published Envoy Magazine, and he also serves as the director of the Envoy Institute of Belmont Abbey College. Prior to launching the Envoy apostolate, he worked at Catholic Answers from1988 to1996 where he served as vice president. A veteran of a dozen, formal, public debates with Protestant ministers, Mormon leaders, and other non-Catholic spokesmen, he has presented over 1500 seminars on Catholic themes in English and Spanish at parishes, universities, and conferences across the U.S. and around the world. Patrick hosts the Thursday edition of EWTN’s “Open Line” radio broadcast (3-5 p.m. ET), heard on over 190 AM & FM stations across the country, as well as on Sirius Satellite Radio channel 130. He is also an adjunct professor of theology at Franciscan University of Steubenville. On February 7th, 2012, Patrick and his wife Nancy will celebrate their 31st wedding anniversary. They have been blessed by the Lord with 11 children and 11 grandchildren (so far). They live in the Diocese of Columbus, Ohio.